The main ligaments in the knee are the medial and lateral collateral ligaments and the anterior and posterior cruciate ligaments. These different ligaments have different restraining functions in the knee and are injured by different injury mechanisms. The most commonly injured ligaments are the anterior cruciate ligament (ACL) and medial collateral ligament (MCL). The ACL is typically injured by a twisting mechanism, often non-contact during football. Patients often hear a “pop” and the knee usually swells quickly after the injury. The MCL is usually injured by a contact blow to the outer side of the knee. MCL injuries typically heal without surgery but sometimes the knee needs to be fitted with a brace. ACL ruptures will not heal and in many cases an ACL reconstruction is required. 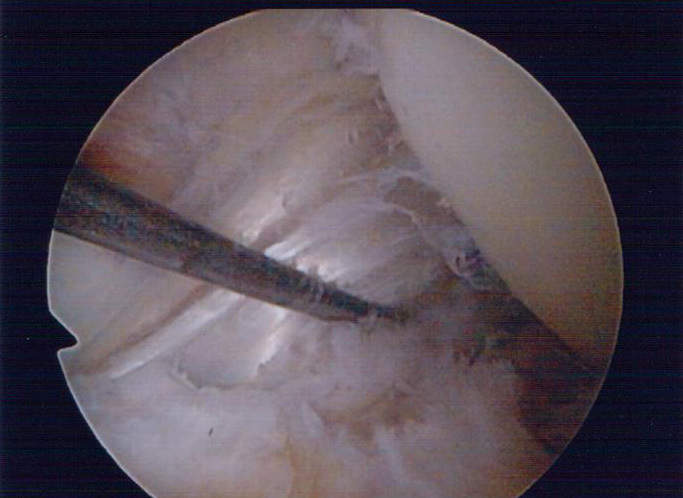 We perform arthroscopic (“key-hole”) ACL reconstruction usually using a hamstring graft. We also perform revision (re-do) ACL reconstruction in those patients who re injure and tear their ACL reconstructions or who have been referred to us with poorly functioning ACL grafts.